We graduate broadly educated lawyers, well qualified to join a range of legal practices. Our graduates have an unusual breadth and depth of legal knowledge, plus exceptional skills that make increased specialization possible as their careers develop. Description: A program that prepares lawyers educated outside the United States to understand U. S. or Canadian law and jurisprudence. Represent clients in criminal and civil litigation and other legal proceedings, draw up legal documents, or manage or advise clients on legal transactions. May specialize in a single area or may practice broadly in many areas of law. Description: An integrated or undifferentiated program in one or more of the legal research or advanced practice fields. Description: A program that prepares individuals for the independent professional practice of law, for taking state and national bar examinations, and for advanced research in jurisprudence. Includes instruction in the theory and practice of the legal system, including the statutory, administrative, and judicial components of civil and criminal law. Assist judges in court or by conducting research or preparing legal documents. Conduct hearings to recommend or make decisions on claims concerning government programs or other government-related matters. Determine liability, sanctions, or penalties, or recommend the acceptance or rejection of claims or settlements. Facilitate negotiation and conflict resolution through dialogue. Resolve conflicts outside of the court system by mutual consent of parties involved. Arbitrate, advise, adjudicate, or administer justice in a court of law. May sentence defendant in criminal cases according to government statutes or sentencing guidelines. May determine liability of defendant in civil cases. May perform wedding ceremonies. 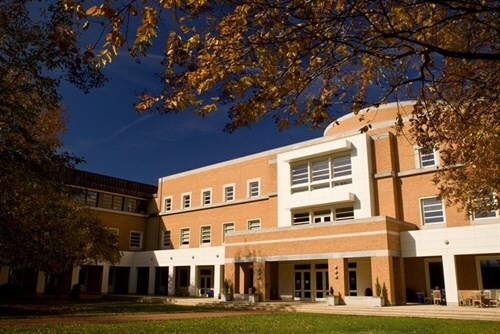 Want more info about Wake Forest University School of Law? Get free advice from education experts and Noodle community members. Admissions Dean is a social networking site that connects students applying to law schools to help them predict their law school admission chances. The American Bar Association is a voluntary bar association of lawyers and law students.